Shadows and images, colours and sounds, from the past times, all reflections that become bridges to meet present times. Is the essence we keep to testify our roots. Cultural heritage is the touch of our souls, the things from the past that made us proud, enriched with the power of time. 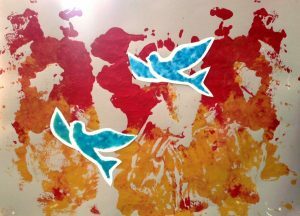 The persons lived, feel and share their ‘prints” through items, buildings, images, shapes, sounds, creations, wishes, words, traditions, education, all kept and transmitted through the terrestrial living. 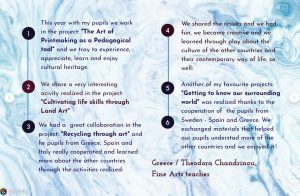 I invited my pupils to explore and present their creations through our collaboration with Teachers and pupils with Schools around the world. 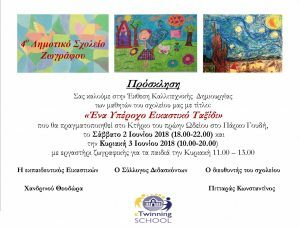 The educational projects opened the gate! 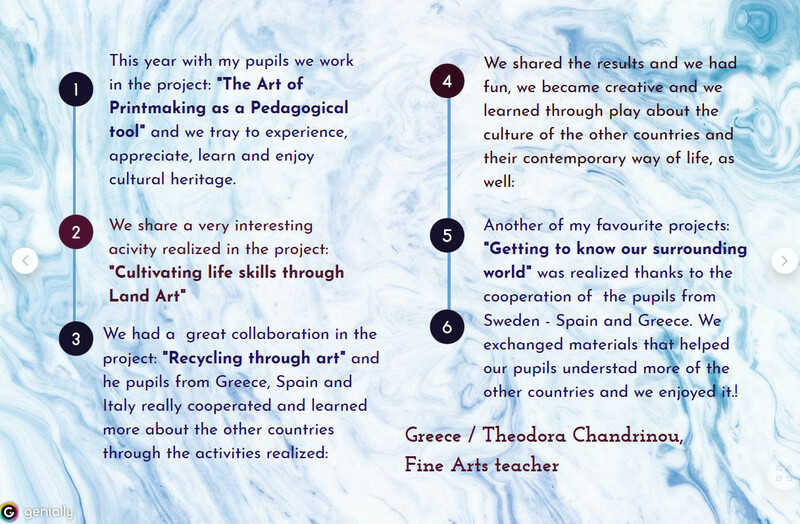 Many thanks to Mrs. Irene Pateraki and the «Creative Classroom» eTwinning group for the great experience! 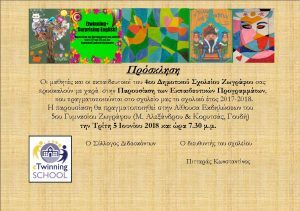 Thanks to Mrs. Angeliki Kougiourouki for the presentation! Touch the numbers and open the links for more information. 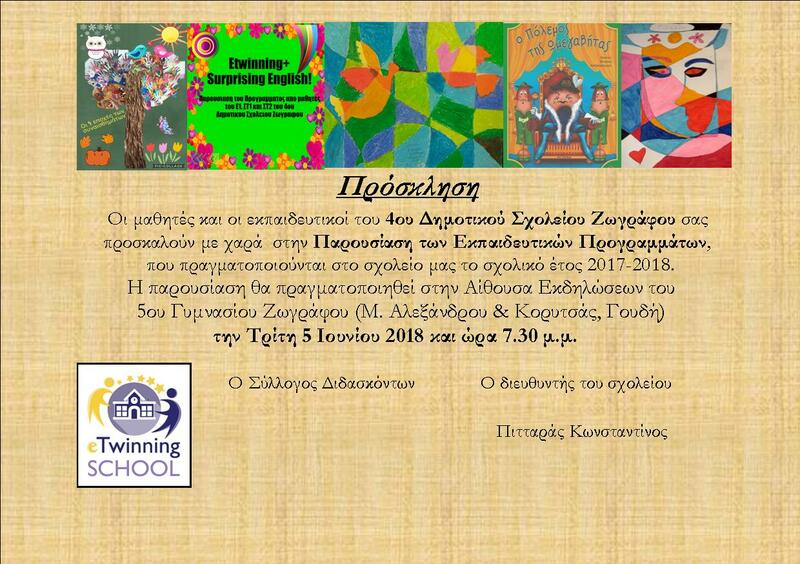 4th primary School of Zografou, Athens, Greece/ Congratulations to all the pupils that followed me in this adventure! 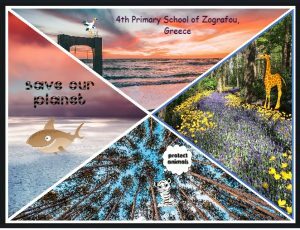 You are invited to explore my padlet collection. 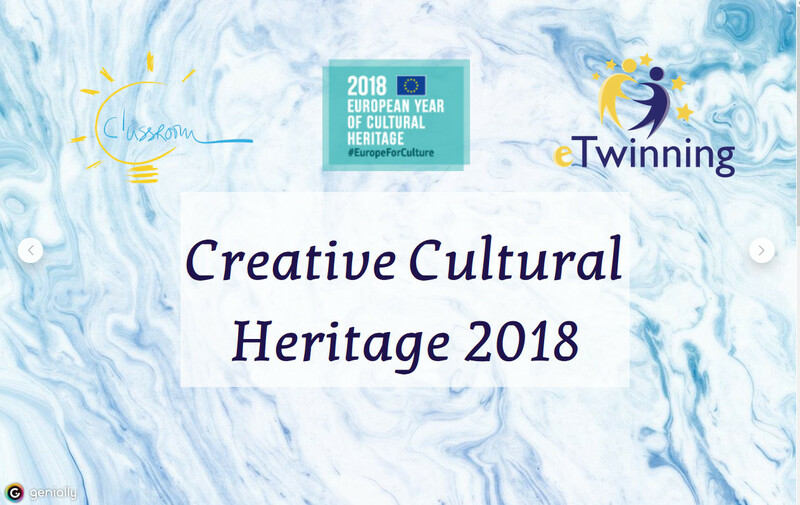 The eTwinning project: «Cultivating life skills through Land Art» gave us the opportunity to share Environmental tresures and cooperate for Nature! A wonderful travel and the spirit of Christmas shared through the twin space pages! 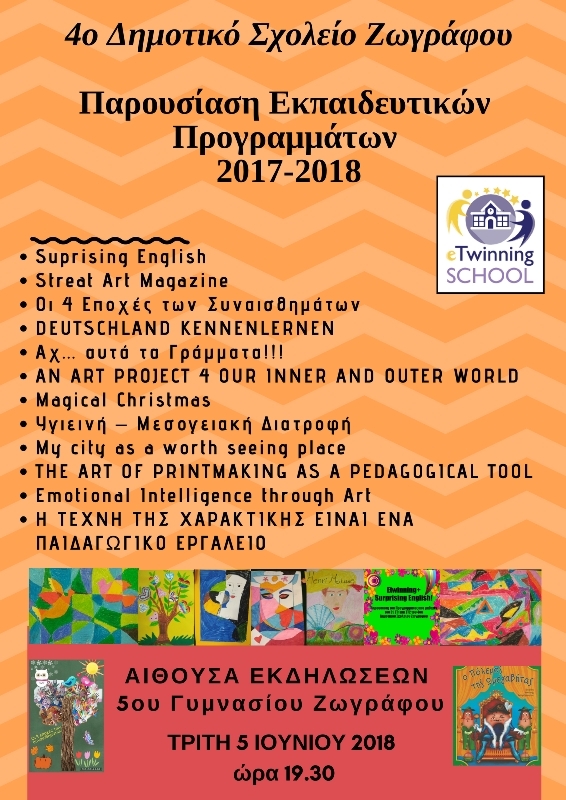 The eTwinning project: «Street Art Magazine» helped us to learn more about contemporary life in different countries. 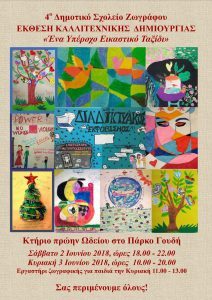 Art united us all!!! We share messages all around the world! We also participated with my pupils in the activities of the eTwinning group: ENTREPRENEURSHIP IN EDUCATION and shared the video created in the classroom with Christmas carols for the eTwinning project: «Magical Christmas». 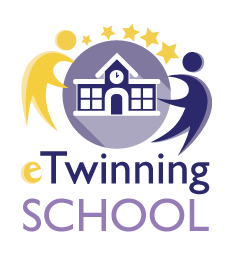 Participats in the e Twinning Teachers Community are sharing recipes, thanks to the activity of the «Entrepreneurship in Education: eTwinning group by Kornélia Lohyňová. 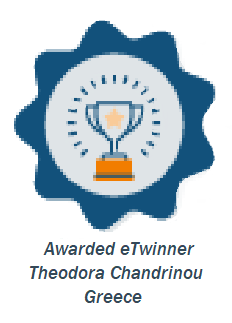 During the School year 2017-2018 I had a great cooperation among eTwinning Schools. Thanks to the educational eTwinning project «Magical Christmas» we exchanged images, customs, material, music and messages. 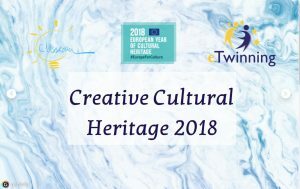 We made new friends and we made visible the way that we can share «Cultural Heritage» through education. 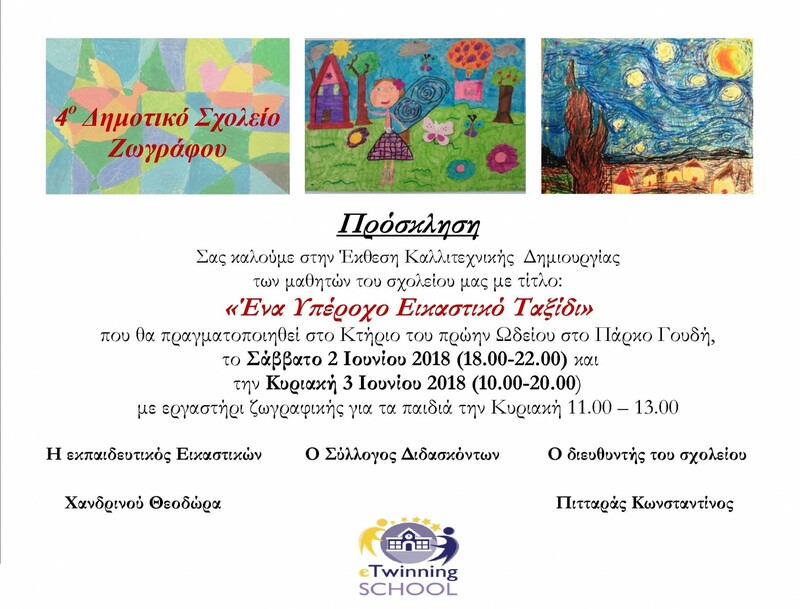 We shared results through open to public presentations in the 4th primary School of Zografou, Athens, Greece. 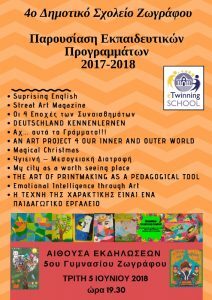 eTwinning project : «The Art of Printmaking as a Pedagogical tool». 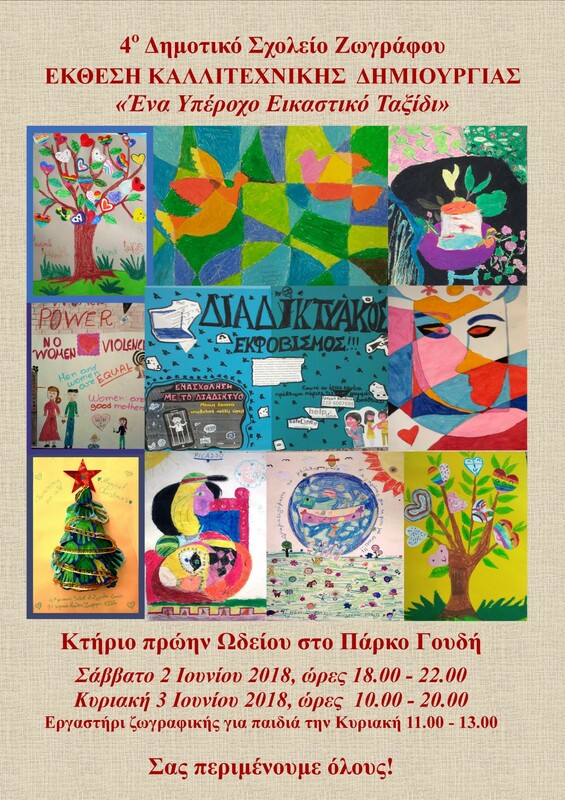 An invitation by Theodora Chandrinou to all pupils project partners and a creative result that we share!!! 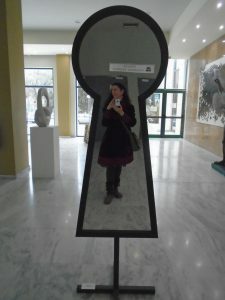 «My city as a worth seeing place» we enjoyed the collaboration and shared results! Thanks to Maria Giovana Battaglia, we shared sky photos. We are all under the same sky!! !